T4G and a Halifax start-up are using emerging medical technology to benefit orthopedic patients and medical practitioners. We love a challenge. So when OrthoMX Inc., a local medtech startup, called on T4G to help them improve the orthopedics patient experience, the team stepped up. We were asked to build an app for medical professionals and patients used to record patient walking patterns and monitor joint health over time. The mathematical and technical requirements of the app presented us with a complicated challenge. 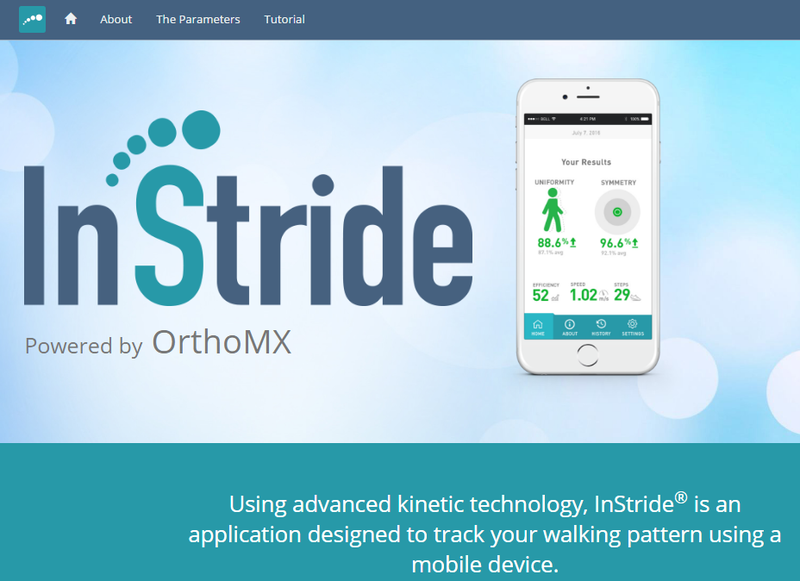 We’re thrilled to say we hit the mark with InStride, a tool that dramatically improves the patient experience for people planning for or recovering from hip or knee arthroplasty. The app, when combined with a cloud-based portal for the care team, enables access to patient’ data for monitoring and diagnostic purposes, reducing in-clinic time and speeding up the delivery of treatment plans. InStride is not yet available to the general public, but we filmed a special demo just for you. We started by measuring a 30 metre baseline (three cheers for our spacious office!) and then called on T4G’s Chris Morrison to walk us through it (with the help of developers Mark MacNeil and Brett O’Donnell). As Chris mentions, a patient’s first walk is usually done under supervision of a clinical professional. Once that baseline walk of 30 metres has been recorded, there’s no need to measure a particular distance again – a patient can repeat this exercise wherever they happen to be, as long as they have space to walk in a straight line. Once you’ve hit the required distance, InStride will automatically stop recording and provide both a vibration and auditory cue – an added benefit for elderly patients who may have difficulty hearing notifications. The T4G Kick creative team got involved, too, adding their design expertise to the mix for a user-friendly experience and developing the InStride name, logo, and brand. Again, with the elderly user-base in mind, large, easy-to-recognize icons and minimal information on screen make the app easy to read (but who doesn’t appreciate clear, clean design?). With healthcare and medical technology hot topics at T4G’s Big Data Congress 2016 in Saint John, New Brunswick, there’s no question this is a sector we feel passionate about. So, what’s next for T4G and OrthoMX? We’re continuing to work together to help commercialize InStride, look at different corporate partnerships and licensing opportunities, and explore other opportunities to apply modern technology to challenges in the healthcare space. Update: The InStride App has been officially released in the Apple app store. Get it here. Brigid is a Managing Editor with T4G Kick. Her creativity, enthusiasm, and experience help her share engaging stories that draw in and stay with her audience. She spends her free time pursuing creative endeavors like writing, photography, drawing, painting, sculpture, print making, and textile arts.